A good GRE score mostly depends on the expectations of the student. The perception of a ‘Good GRE score’ also varies from individual to individual. Same with the universities. Some students might consider University of Michigan as a good college and hence the score required to get an admission there would be perceived as a Good GRE score. However, students who target Harvard, won’t perceive University of Michigan as a top university. Hence their idea of a good GRE score will be much higher. According to my experience and perception, I would recommend the following slabs as ranges for a good GRE score. 1) TOP SCORE – These scores will place you among the top 10% of the test takers and get you admissions into the Top US Universities. 2) GOOD SCORE – These scores will place you among the top 25% of the test takers and get you admissions into excellent US Universities. And guess what? You still have a shot at Ivy League universities if you have a good and consistent profile. 3) MODEST SCORE – These scores will place you among the top 50% of the test takers. Though, these scores won’t help your chances of getting into the Top US Universities, you will have a shot of many non-Ivy League universities. These are pretty decent scores and not at all bad. Though you might face some competition if you are applying for highly sought after programs. Make sure that you build up a strong profile. 4) AVERAGE SCORE – These scores will place you among the remaining 50% of the test takers. Though these scores would get you admissions in many universities, chances are high that these universities might not be regarded as Top Universities or Excellent Universities by conventional standards. These universities can still offer you unconventional programs and help you build your own niche. Or you can just retake the GRE and aim to boost your GRE scores for a shot at more popular universities. Furthermore you may also want to look into the average GRE score required for various fields of studies. Additionally I have suggested a ‘Safe Score’ which is based on standard deviations and can be seen as a pointer for a Good GRE score. This will help you to determine your own target of a good GRE score. In this article I will give you the official data on the average scores of those who got admissions into certain top universities, so that you get a fair idea of the university cut off scores. Note the Average Quant Scores, Average Verbal scores and the Quant cut off scores to help you set a Good GRE score as your target. 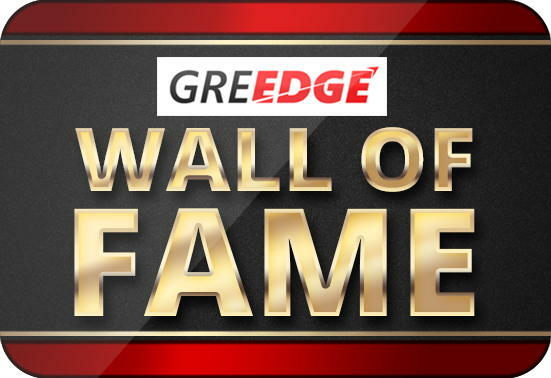 Attend GREedge exclusive seminars and learn tips from experts! You must be wondering about the cut-off marks for the top universities. which is not easily available. But dont worry, I have complied the data for you. So, now that you have a detailed idea of what a Good GRE score is, it is time for the next step, which is ‘How to plan your GRE preparation to achieve that target GRE score’. Needless to say, it requires immense dedication, planning and hard work to achieve that Good GRE score and secure an admit to your Dream University. I would love to hear from you. What is the GRE score you are targeting? Hi, I have a work experience of almost about 3 years. As far as my knowledge base in the particular field is concerned, I can say that it is competitive and thorough. I am aiming for top universities but my undergraduate CGPA is 8 out of 10, which I think drives me towards the lower end. Going through your post, I am assuming getting a score of about 330 would place one in an advantageous position. How should my preparation be if I am aiming for that extra edge? your CGPA is okay not that low and a score of 335 will give you a edge and meanwhile try to build up your CV , ex. if you are interested in a particular field for ms then try to take up some internship related to that field , for else if no such particular interest try to diversify your CV by doing internships in various fields(dont restrict yourself to only technical ones , go for internships like content writing which can be done from work from home also) and try to get a certificate of a social wok or service as most of ivy colleges are interested in that. My GRE Score is 317(Quant 160, Verbal 157), with 1yr experience in Software development, and several internships, with my own startup as well. What are my chances to get into Ivy League Universities for MS in CS? Hi sis .. i am vanajaramanan stil i am studying BE 2nd (EEE) my ambition is i want to get in topest university in abroad how will i prepare for this exam so please help me for my furture …. Btw ur score is pretty good..hoping u may find ur place in best college ahead!! 317 is a good score but not that great that it will give you a direct entry to ivy colleges , since you have 1 yr experience it will definitely give you an edge but you need to score around 325 on safer side for masters in CS. horas hoy, pero nunca encontré ningún artículo interesante como el tuyo. Es perfecto momento para hacer algunos planes para el futuro y es hora de ser feliz. o sugerencias . Quizás tu puedes escribir artículos próximos que hagan referencia a este artículo. ¡Quiero desear leer aún más cosas sobre eso! o consejos. Tal vez usted podría escribir subsiguiente artículos referirse a este artículo. Quiero deseo aprender aún más cosas aproximadamente eso! Now i m studing in b.tech 2nd year..when i should give gre exam ? i guess the best time to give is in 3rd year because with starting of 4 year you will be busy with placements and projects work so i suggest start now and give it at end of 3rd year , this way you will have sufficient time for gre as well as you will be able to focus on the placements also. Hello!.. My name is Sreya I am currently in 3rd year of Btech, Cse dept. and I wish to get into a good university in US.My current cgpa is 8.71 and I do not have any research papers as such, however I have been a part of a fair amount of extra curricular activities.As of now my score in mock gre stands to be 299(Quants-159, Verbal-136 AWA-4). How should I prepare my self to get a score of 320+ if I wish to give my GRE in august 2018 . Hi. I got 290 in GRE (140 verbal 150 quant 3.0 AWA), TOEFL 91, CGPA 5.7. I want to pursue MS in MIS. Which universities should I apply to? I know my GRE score is too low but I want to go ahead with it. I want to pursue MS in electronics and telecommunications…also my under graduate CGPA is low….what GRE score should i get if i want to go ahead in my field. i m an engineering student, i want to pursue MS in cyber security . What should be the undergraduate CGPA ? I have very low CGPA in my Undergraduation around 6.5 but I’m having 3years of work experience and have done extensive research and worked in Big Data & Data Analytics technology. & in UG Have done various electronic projects and won technical fests awards and have published paper in IJERA. one internship in IIT-B and one in Loreal India. Worked as choreographer for extracurricular. I wish to MS Pharmaceutical Science or Chemistry as I further wish to pursue PhD as well! I am certainly reconsidering to give GRE. But suggest me colleges with this profile for spring 2019 as well as fall. Hi I have a gre score 308 (155Q, 153V, 4.5AWA) with a CGPA of 8.7. I have 3+ years of work experience. Could you suggest me some good universities to apply for MS in CS?